Digital technology enables qualification anytime and anywhere. When employees decide for themselves where and when they want to learn, they are more motivated and take targeted action. But for this to happen, companies must create the conditions – and encourage and demand stamina. Further training primarily serves to convey content. What is often neglected here is the transfer of the theory taught into everyday working life: a loss of knowledge occurs and in the end neither the employee has been able to derive an essential added value for his work from the training, nor the employer notices a long-term increase in productivity. The classic offline seminar can be as good as that, but there may also be a short-term increase in motivation. But does this have the necessary substance that all participants want? To ensure that knowledge is not only passed on through frontal teaching, but can also be flexible and up-to-date, companies are increasingly opting for digital learning methods: Since the turn of the millennium, the eLearning industry has grown by over 900%1. The benefits of digital learning are well known. Nevertheless, many companies are sceptical about the new technologies and do not see any significant improvement in the performance of their employees, despite online seminars. What is missing is one thing above all else: awareness of the actual training objective. Companies often succumb to the assumption that employees devote themselves to continuing education in an independent and disciplined manner. This is a fallacy, because employees are not prepared for the first step: to recognize which skills they lack. In order to be able to select a meaningful further training and to bring in the learned actively into the enterprise, it needs completely concrete basic conditions. Self-learning opportunities must be created and it must be ensured that these are accepted and, above all, sustained by the employees. Self-learning requires a corporate culture that builds on and promotes personal responsibility, but at the same time also demands it from its employees. Clear competence and requirement profiles are helpful here. These help the HR department to quickly identify the skills and competencies that make sense for a particular position. The provision of teaching content should be a clearly thought-out process and not a randomly compiled library. No further training for an end in itself, but possibilities of further development with substance and goals. A learning library with high-quality learning content and learning formats represents an equally important basis for the successful implementation of self-learning. 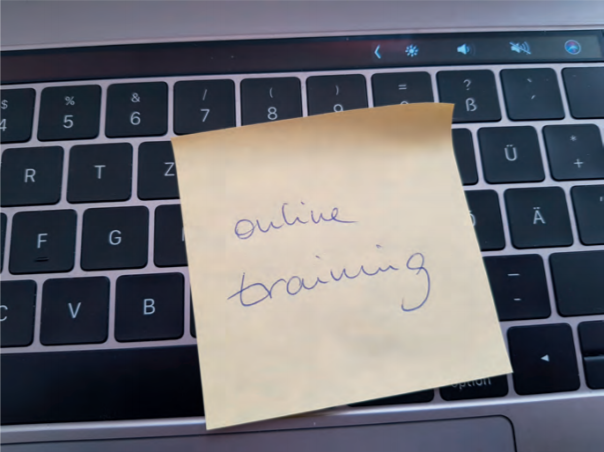 As a learning format, online training fulfils many requirements. Today, not only Virtual & Augmented Reality and Gamification are available as sophisticated and creative methods of knowledge transfer. But not every online training is equally ideal. What do companies need to consider when selecting suitable online learning formats? specialists for the evaluation and handling of data and programming languages, knowledge should be taught in an application-oriented manner and using practical examples. It is central to impart „skills“ to the participants. This is achieved with interactive training offers in which the methods and tools taught are practically guided. However, there is also the question of the limits of a corporate culture in which training and work should flow smoothly into one another. If, for example, frustration arises among employees because they need more time for their main tasks or because they reach their limits during training. This can lead to a demotivation of the employee if no repertoire of strategies for self-directed learning has been taught, e.g. resource management, sequencing of learning steps and, of course, implementation in the workflow. After all, online training is not just providing a platform with videos that convey theory. There are tutorials on You-Tube and many video courses on US platforms like Udemy or Coursera. These offers do not require direct and individual support. However, this is essential for the continuing motivation and the will to continue the training in the long run. Nothing is worse than participants who have to do without support completely in the first steps. It must not happen that employees are left alone with the learning environment on their laptops. Just as important as the content of the training itself is the support provided by comprehensive, diverse support and a predefined learning structure in order to create a successful learning experience. A learning structure represents a binding red thread through further training, which makes it much more likely that objectives will be achieved. What can such a learning structure look like? Employees or even entire departments can be combined in „batches“ and carry out further training at a common start and end time. During this time, the contents of the further training are gradually activated, but holiday periods are also firmly scheduled. This has the advantage that the employees can exchange information and help each other. In-service learning in a group creates a sense of community over a longer period of time and is less isolated than an individual online course. Communication about a team‘s progress, procedures and goals is an integral part of everyday professional life and should also be transferred to learning in a binding structure. These are the best prerequisites for building a learning community that has a positive effect on learning success. It is not a self-runner to instruct your employees to become conscientious self-learners. It is clear that posture changes do not happen overnight. Nevertheless, it is the company‘s duty to exemplify self-learning as an integral part of the operational process and to encourage it again and again. 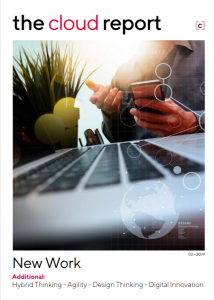 Especially in the course of the ever-increasing complexity of data streams and ever-newer technologies, employees must train and expand their data skills. AirBnB, for example, has set up its own university, which has included the collection, evaluation and visualization of data in its continuing education curriculum as the most important areas in addition to learning programming languages. In the first half year after its foundation in 2016/20172, more than 500 employees had already taken part in the courses. 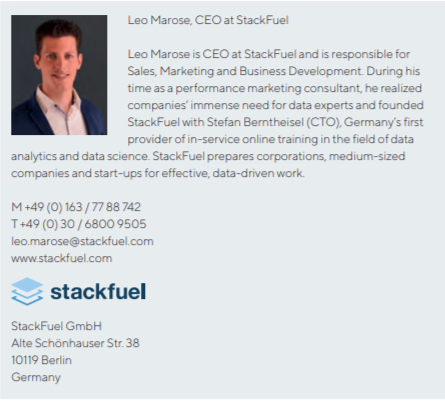 In Germany, StackFuel is the first training provider in the field of data technologies to specialize in companies and adapt its online training courses directly to the needs of companies. At IBM, they speak of a learning journey in which the employee chooses what he wants to learn and when. Whether the whole course or only selected units, flexible and efficient. How does self-learning, the Learning Journey, look like in your company?